EDINBURG — Former Mission Mayor Norberto “Beto” Salinas is contesting the results of the June run-off election in which he lost the seat he held for 20 years to Armando O’Caña. The former mayor’s petition alleges that at least 158 “illegal voters” were allowed to cast ballots in the June 9 runoff that saw O’Caña oust Salinas from the mayoral office by 157 votes, 3,475 to 3,318. In addition to accusations of bribery and harvesting mail-in ballots, the petition alleges “scores of (mail-in) voters” who “fraudulently changed their registrations” to the city of Mission. “I have no comments at this time,” O’Caña said Wednesday evening via text message. 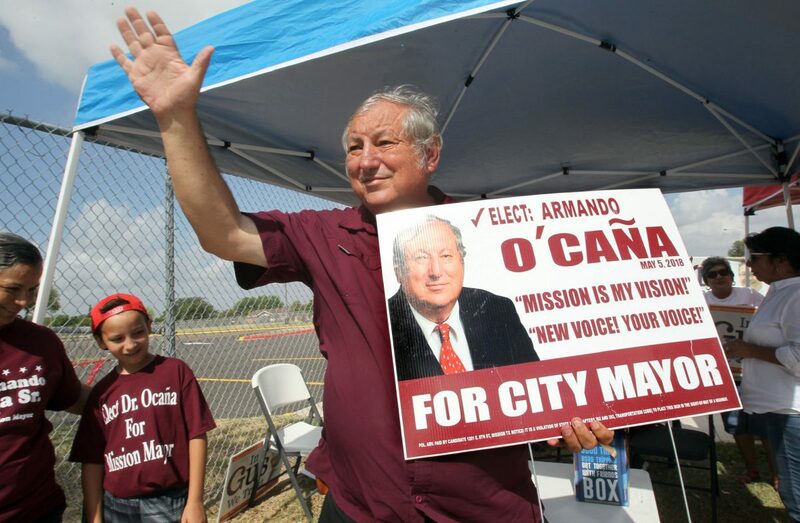 Among these alleged fraudulent voters are O’Caña’s son and daughter-in-law, who according to the petition live in College Station, and his nephew, Louis Ortega, an Edinburg resident who is a brother of Mission councilwoman Jessica Ortega-Ochoa. The new mayor’s sister, Guadalupe O’Caña, is also named as having allegedly “assisted” voters who were paid to vote for the mayor. Salinas further accuses the newly-elected mayor and his wife of residing on Shuerback Road outside of city limits. The former mayor is requesting a district court judge order the results of the election and canvassing be re-tallied and Salinas declared “the true winner of the election,” or the election declared void and a new one held. “These allegations are salacious. They are devastating. And, they will be proven true,” the petition reads. Staff writer Daniel A. Flores contributed to this report.